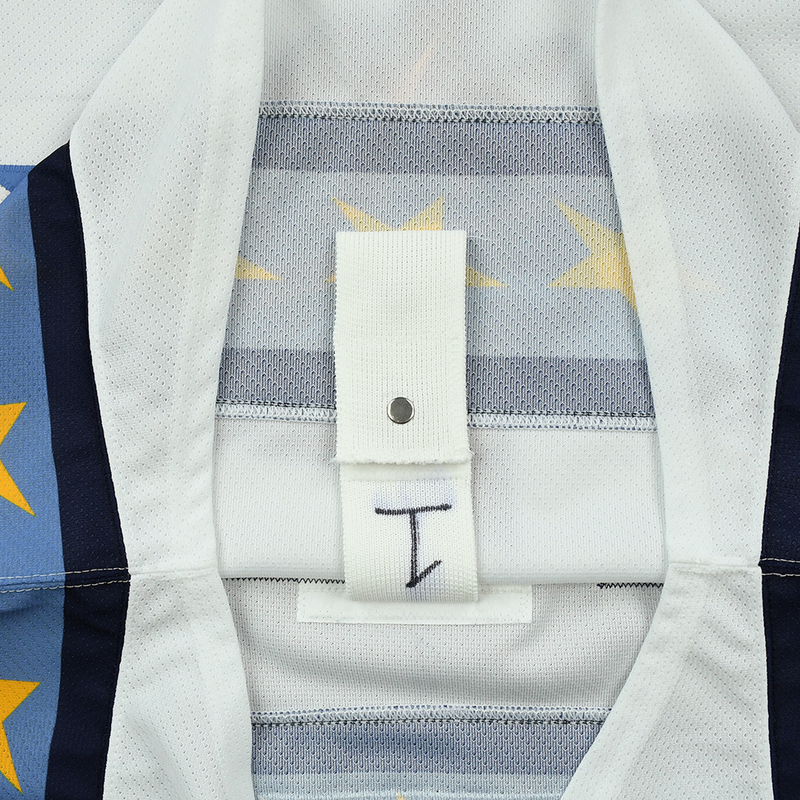 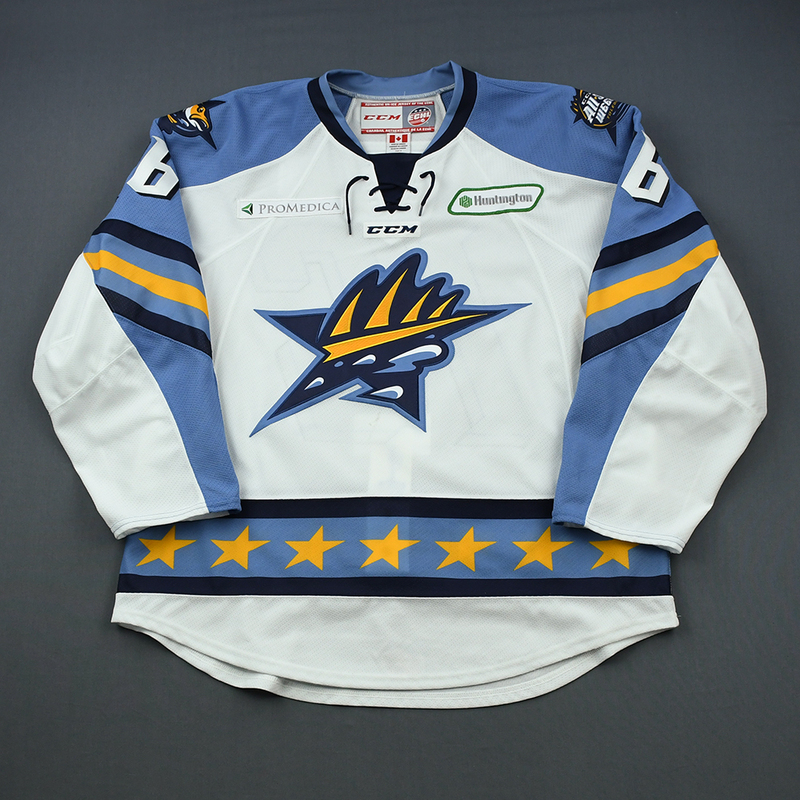 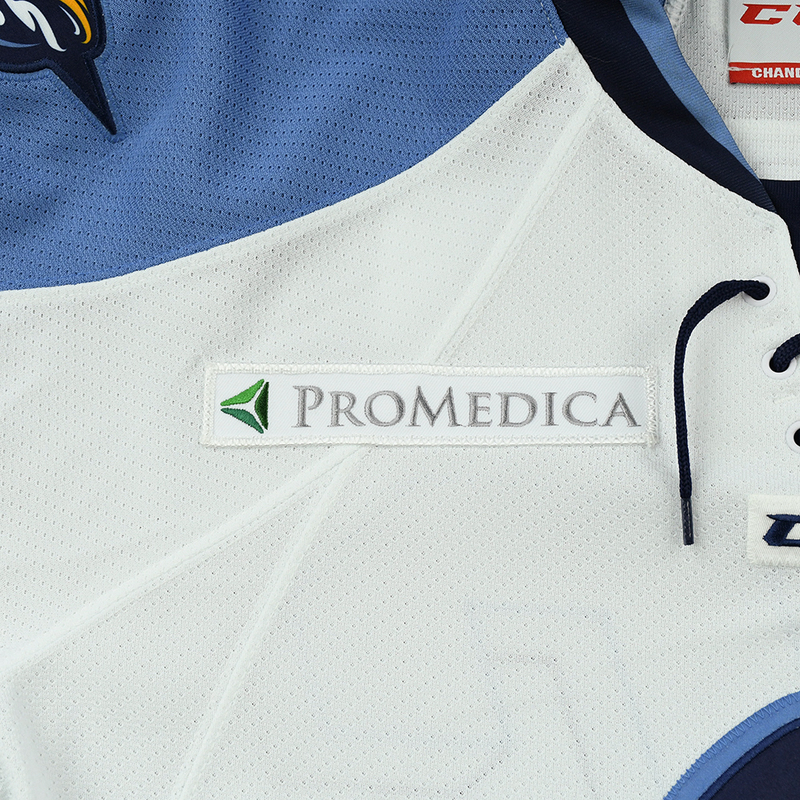 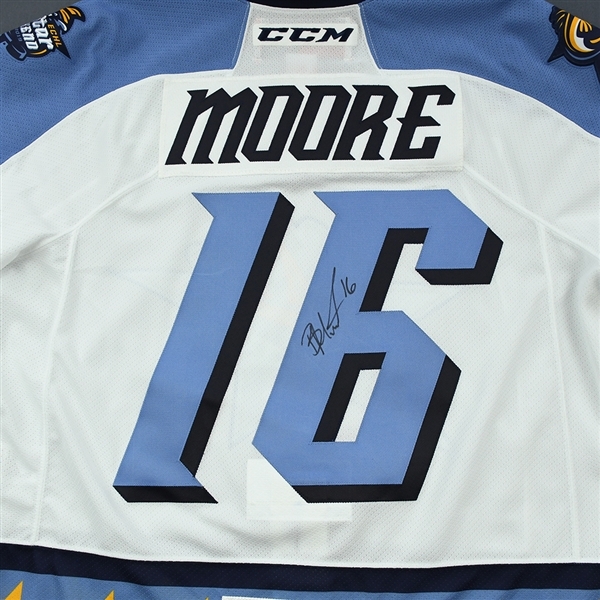 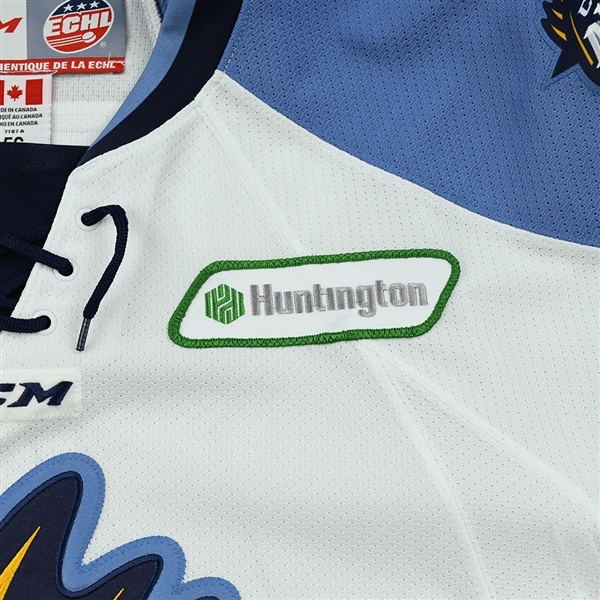 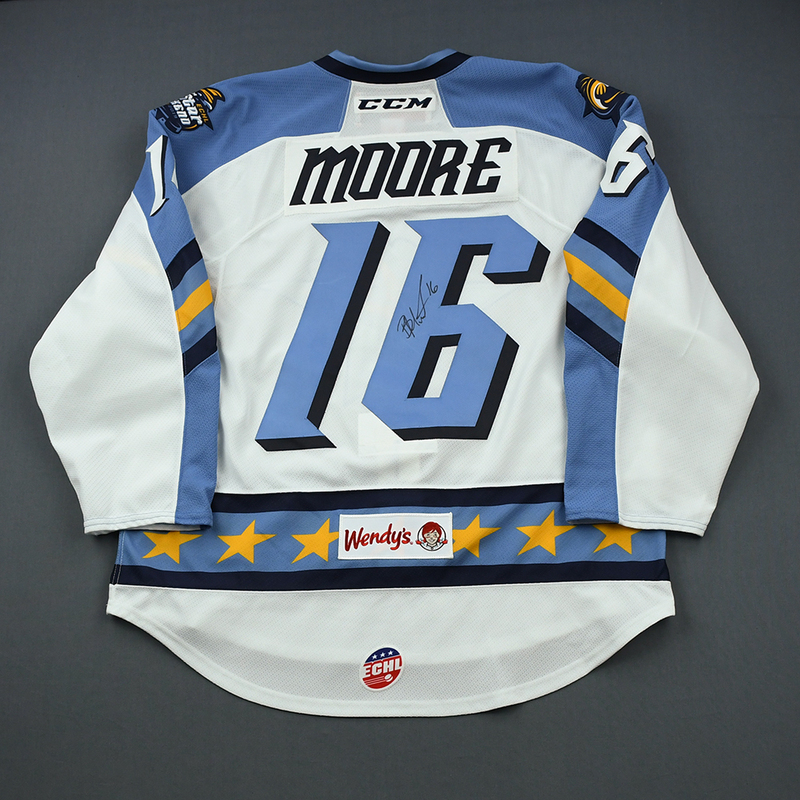 Bryan Moore #16 wore this white jersey while playing for the Toledo Walleye "Fins" team during the first two games of the first round of the 2019 ECHL All-Star Weekend. The jersey is autographed. 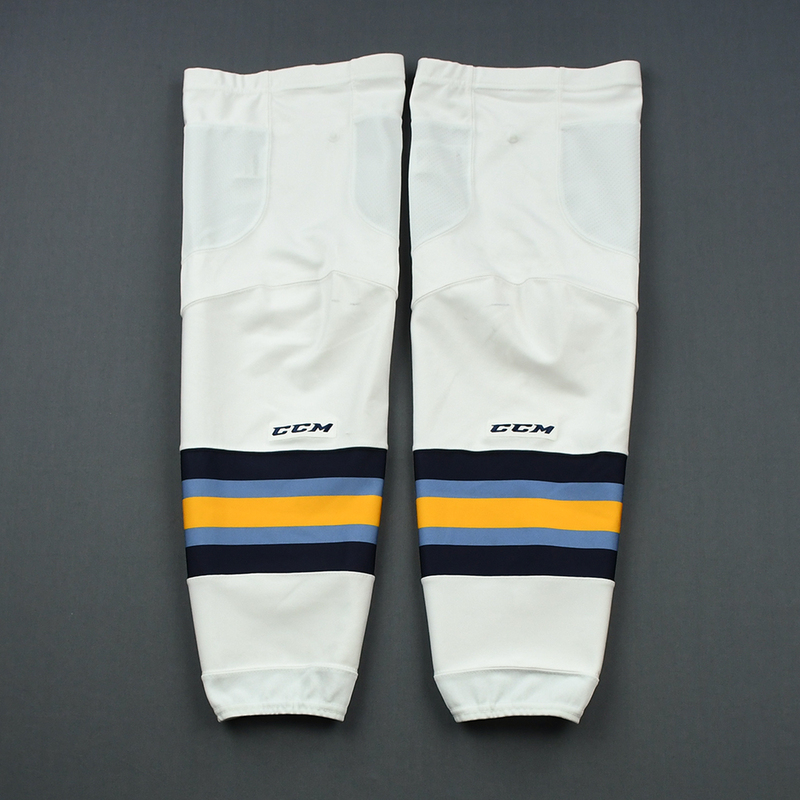 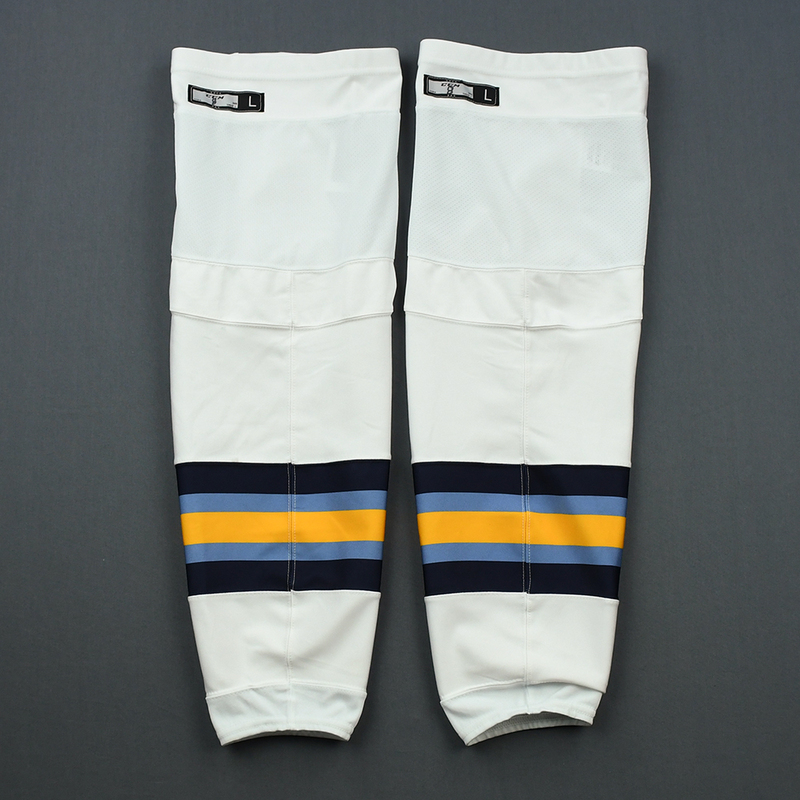 The player's game-worn socks are included.